I’m not about to become a director of company any time soon. If I were, the release last week of what appears to be a long and boring titled exposure draft called Treasury Laws Amendment (2017 Enterprise Incentives No. 2) Bill 2017 would be big news. Particularly if I was a director of a company in financial distress contemplating life under Australia’s insolvent trading laws. The long winded title downplays what some commentators claim could represent the largest shift in the turnaround and restructuring landscape since the introduction of the voluntary administration regime in 1992. 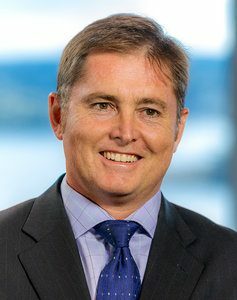 Australia’s insolvent trading laws are framed in a way that imposes personal liability upon directors for debts incurred if the company is found to have traded whilst it was insolvent. With the release of the exposure draft, government is seeking to reform Australia’s insolvent trading laws to provide defences in the form of a “safe harbour” to allow a company to trade on when it is of doubtful solvency. Wikipedia defines a safe harbour as a provision of a statute or a regulation that specifies that certain conduct will be deemed not to violate a given rule. In essence, once a director enters the harbour, they are deemed not to be subject to the insolvent trading laws. Effectively a licence to be insolvent but only whilst inside the harbour. Our current laws have served us well. Our insolvent trading laws work to protect creditors through the imposition of a positive obligation on directors to avoid trading whilst insolvent. However, the laws have been criticised as driving directors to limit personal liability by prematurely seeking the appointment of a voluntary administrator in circumstances where a company is still viable. The preamble of the government’s exposure draft goes further to state that “concerns over inadvertent breaches of insolvent trading laws are frequently cited as a reason that early stage (angel) investors and professional directors are reluctant to become involved in a start-up”. If we are to be an innovative country, this reluctance does nothing but impede the development of new businesses and new business models. A safe harbour or a port in the storm. In essence, government has proposed a “better outcome” test which allows a company to trade on when it is of doubtful solvency. The onus is placed on directors to take appropriate steps to, amongst other things, obtain expert advice and prepare a restructuring plan. The proposal provides directors with a defence, as opposed to a ‘carve out’. Some commentators have drawn the conclusion that the exposure draft, in essence, could provide a licence to directors to trade whilst insolvent. If this were the case it’s a radical step given the significant volume of case law which says you shouldn’t. This would be the ultimate safe harbour. Thankfully the changes don’t, in my opinion, create a “safe harbour” (if you accept Wikipedia’s definition). Nor should they. What they do is provide a defence where appropriate steps have been taken. More akin to a port in the storm (to keep the maritime analogy) that offers some additional protection in the choppy seas of the director’s financial distress journey. Ultimately the courts will arbitrate on the actions taken. Retaining turnaround professionals is a central element of a director’s defence. Turnaround professionals remain central to safe harbour changes. The draft legislation requires that advice be taken in relation to the financial position of the company from an appropriately qualified entity. Evidence of this would include documentation of any specific advice sought and obtained. Whilst legislative changes proposed by government are a key element to reform, ultimately early intervention by company directors when indicators of financial distress arise is the best form of defence to claims of insolvent trading. 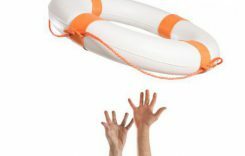 Director’s reluctance to call for help continues to result (sadly) in the high volumes of insolvencies in Australia and until this changes no amount of legislative reform will make a difference. But the proposed changes are big news and make for a good start.